3D Baby Ultrasound Mississauga | 3D Baby Ultrasound Oakville | 3D Baby Ultrasound Toronto-Best Service With Lowest Prices! 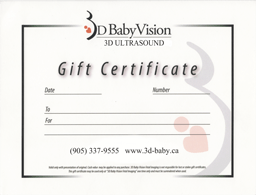 3D Ultrasound Oakville, 3D Ultrasound Mississauga, 3D Ultrasound Toronto. The above 3D Ultrasound locations are convenient for clients coming from Hamilton/Ancaster, Burlington, Milton, and Brampton. REBOOK if baby is hiding! LIVE video streaming from your mobile device! GIFT for your new baby! $100 OFF coupon for newborn photography! 30,000 3D ultrasound scans and counting! We are Canada's premier provider of 3D Ultrasound services for moms-to-be that want to capture the greatest of life's moments. Our friendly, fully licensed Ultrasonographers use the latest and highest quality equipment available to capture the best 3D baby images and video recordings of your unborn child. Precious moments like these are few in a lifetime and preserving these special memories is what 3D BabyVision Fetal Imaging is all about. Explore our web site and see what others have to say about their 3D BabyVision experience. Here at 3D BabyVision we strive to offer the best 3D ultrasound experience at an affordable price. Our mission is to make 3D ultrasounds available to everyone, so that every pregnant woman can experience the joy and excitement of seeing her little precious one before it is born. Perfect gift for the mom-to-be. Order by phone & have it mailed. 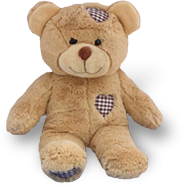 3D Ultrasound Brampton, 3D Ultrasound Hamilton, 3D ultrasound Milton, 3D Ultrasound Burlington, 3D ultrasound Toronto, 3D Ultrasound Mississauga, 3D ultrasound Oakville.